Feather HUZZAH with ESP8266 WiFi chip - pre-soldered with Feather Stacking Headers - Our take on an 'all-in-one' ESP8266 WiFi development board with built in USB and battery charging. Its an ESP8266 WiFi module with all the extras you need, ready to rock! Perfect for connecting your projects to the wide world of the internet. Featherwing OLED - 128x32 OLED Add-on - pre-soldered - adds a 128x32 monochrome OLED plus 3 user buttons to your main Feather board. DHT22 Temperature-Humidity Sensor - This is a basic, low-cost digital temperature and humidity sensor. It uses a capacitive humidity sensor and a thermistor to measure the surrounding air, and spits out a digital signal on the data pin. Micro Servo - Tiny little servo can rotate approximately 180 degrees (90 in each direction), and works just like the standard kinds you're used to but smaller. Premium Male/Male Jumper Wires- 40" x 6" - Handy for making wire harnesses or jumpering between headers. Essential for most electronics projects. Half Size Breadboard - This is a cute half size breadboard, good for small projects. Also essential for most electronics projects. Magnetic Contact Switch (door sensor) - Tell who walks in (and out) of your room! Also potentially excellent for zombies - though we have not tested. Medium Vibration Sensor Switch - The "poor man's" accelerometer/motion sensor! These spring-vibration switches are medium sensitivity non-directional vibration induced trigger switches. Micro USB Cable - We figure most of you have these already and wanted to use the space in the box for some more goodies. If you don't have a USB cable, you can always pick one up here. Lithium lon Polymer Battery - 3.7v 5OOmAh - Lithium ion polymer (also known as 'lipo' or 'lipoly') batteries are thin, light and powerful. The output ranges from 4.2V when completely charged to 3.7V. This battery has a capacity of 500mAh for a total of about 1.9 Wh. Great for taking your project on the go! PCB Ruler - Digi-Key Edition - Our friends at Digi-Key tossed in their always handy version of the Adafruit PCB ruler - the PCB to ruler them all. 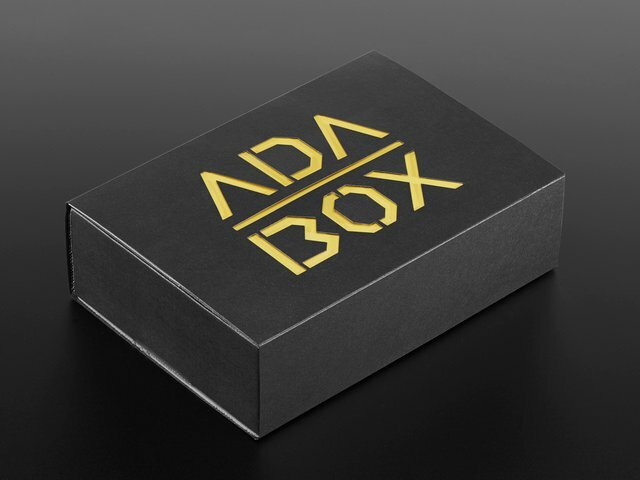 AdaBox Collectible Pin - Nimbus the Friendly Cloud Entity is our Internet of Things mascot. It floats above and around your connected devices with a mischievous and ethereal glow. Nimbus is always happy when makers build devices to join it. Whether they be trash cans, sinks, lamps, or toasters, Nimbus is always present and will never judge. The API is the core of the system, but with only an API, it's not that fun to use. We've built a few basic client libraries to simplify working with the API. We also have a dashboard with a few widgets that allow easy 2-way interaction with your devices. We plan on adding many more features, such as mapping and location awareness for your devices, triggers based on custom parameters, email alerts and more. Over the last couple months we have been publishing guides to teach people the basics of Adafruit IO. 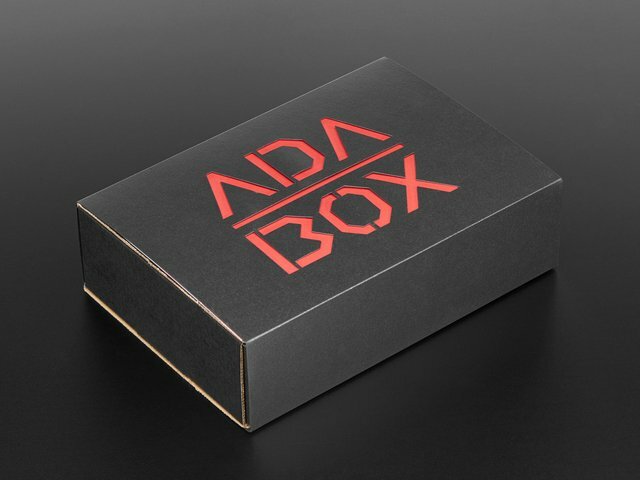 The sneaky part is that we have been using only AdaBox 003 parts on the guide examples! 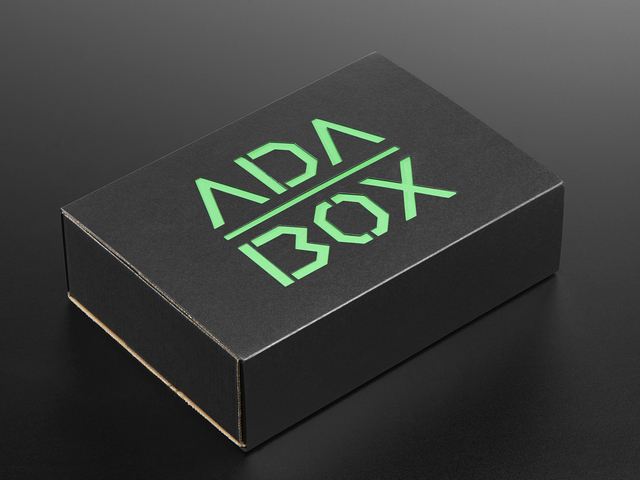 This means that you can open up your AdaBox and follow all of the Adafruit IO Basics guides. 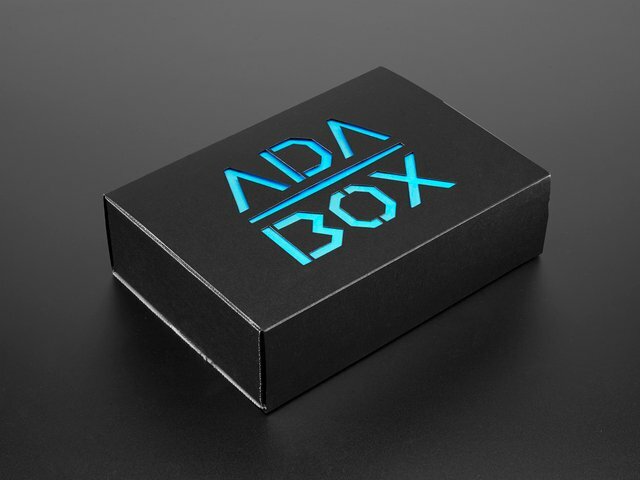 By the end of the guides you will be an Adafruit IO Pro and will be able to take your new knowledge and create amazing projects that you can interact with. 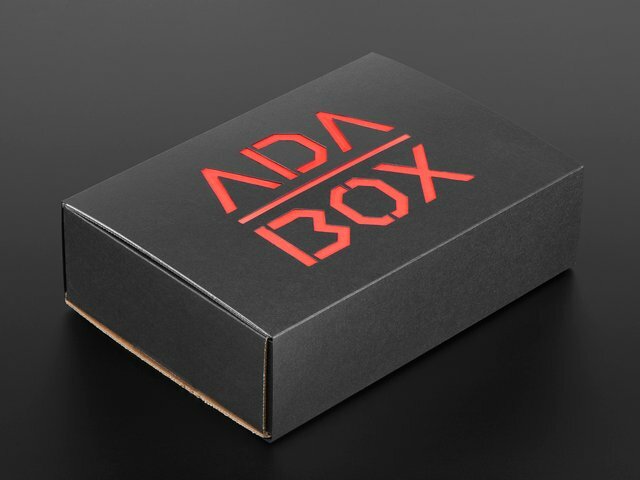 Be sure to check back to this guide as more Adafruit IO guides will be published over time using your AdaBox 003 parts. Dashboards allow you to visualize data and control Adafruit IO connected projects from any modern web browser. Widgets such as charts, sliders, and buttons are available to help you quickly get your IoT project up and running without the need for any custom code. If you are new to Adafruit IO, you may want to start with the Adafruit IO Feeds guide before you continue with this guide. If you are comfortable with feeds, then you are ready to create your first dashboard. The fifth guide in the series will show you how to send color data from Adafruit IO to a RGB LED. This guide was first published on Mar 15, 2017. It was last updated on Mar 15, 2017.